Second to skincare, swimming in the ocean is one of my greatest pleasures in life. 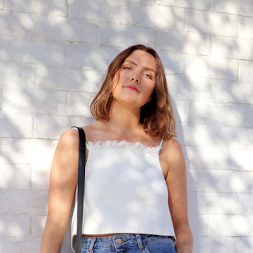 I often posts photos of me in the water, or certainly lounging around near it and have amassed quite the bikini collection, so thought I’d list my current favourite swim looks here (which I find the most flattering for my shape), with a couple similar options for you if you’re heading away soon and want the low-down on the best styles. Last summer I invested in the classic Antibes bikini from Marysia, and I’m so happy I did – the fit is perfect (I went one size up in the bottoms so I can pull them up to high waisted). I’ve worn it time and time again and the fabric has lasted really well. I went for dark navy but have added some extra colour options in for you below. Makers of the comfiest swimwear fabric ever, this swimsuit also fits like a glove. They come in 1 size fits all, so no um-ing and ah-ing when shopping online. They’ve got some great bikini styles too which I’ve included for you below. I get so many compliments each time I wear this bikini – I think the shape is quite unusual and a nice play on using underwire. I thought it might fit weirdly since the shape is hard due to the wire, but it shapes really well to the body and really stands out. I got mine from Paper Maché Tiger here in London, but have added a couple online links for you below. Yes, again. 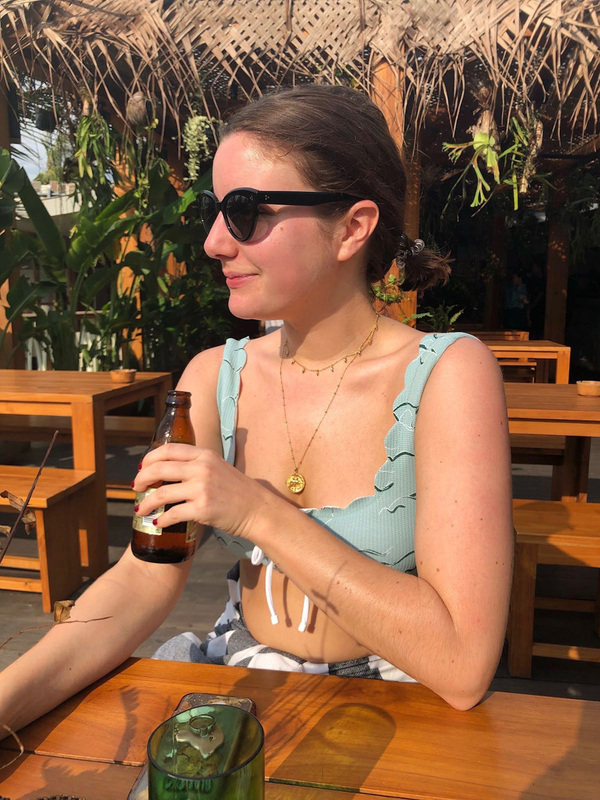 The Palm Springs style top became a favourite this January in Bali as it double as the perfect top when paired with high waisted denim shorts or skirts. The Sea Foam print is bright for summer but still minimal enough for me – and they’re lots of styles with the print on! I got this swimsuit last year and I’ve never had such a well fitting one piece. Half Baked is made to mimic great underwear and that’s what I love – it’s such a simple shape, but perfectly so. I often wear this with jeans, too. Jewellery throughout is mainly Missoma, which you can find HERE. Older UNDER THE TUSCAN SUN.